Monterey was the capital of the Spanish and then Mexican-owned region of Alta California from 1777-1846. It was also where the state constitution for California was first drafted and was essentially the first capital city of U.S. California. Throughout Monterey's history, it has claimed many firsts for the state of California. These include the state's first theater, its first public building, its first public library, its first publicly-funded school, its first printing press, and its first newspaper. The Cannery Row district of Monterey served as the setting for two John Steinbeck novels - Cannery Row (1945) and Sweet Thursday (1954). Since 1958, Monterey has hosted the renowned Monterey Jazz Festival. This festival claims to be the longest running jazz festival in the world. Monterey also hosted the one-time Monterey Pop Festival in 1967. It was the first rock festival to be so widely-promoted and heavily-attended. Just a few miles offshore from Monterey is Monterey Canyon. No other underwater canyon off the Pacific Coast of North America is larger or deeper. From 1777 to 1846, Monterey served as the capital of the Alta California territory. This territory was originally created by Spain in 1769 and became part of Mexico after the conclusion of the Mexican War of Independence in 1821. Several buildings that are found in and around Monterey speak to these periods in the city's history. Among them are the Spanish and Mexican adobe clay buildings that can be found along the designated "Path of History." When the United States came to occupy what is now California during the Mexican-American War, the U.S. flag was raised in Monterey. Not long thereafter, the California state constitution was drafted at Monterey's Colton Hall building. This effectively made Monterey the first U.S. capital of California. There is much more to Monterey than its rich history. This city on California's central coast offers sandy beaches and plenty of amazing coastal views. It is also a great place to enjoy such activities as kayaking, surfing, scuba diving, whale watching, golfing, and shopping. The list of things to do in Monterey definitely doesn't end there, however. Exploring the famous Cannery Row district is a must, partly because that is where you can find the renowned Monterey Bay Aquarium. Monterey visitors are also encouraged to keep scenic drives in mind, as the general area features some of the world's best scenic roads. 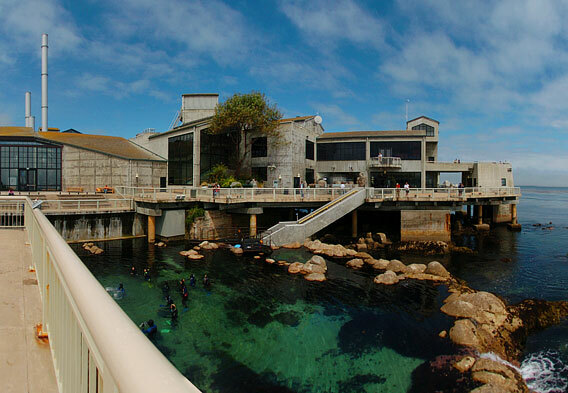 The Monterey Bay Aquarium ranks high among the best family attractions in the United States. Largely responsible for the waterfront venue's popularity is its amazingly diverse marine life. More than 300,000 plants and animals call the Monterey Bay Aquarium home, and it counts approximately 550 different species. Among the highlights of the entire facility is a three-story tank that can hold approximately 335,000 gallons of water. In addition to housing various creatures, this tank is home to a kelp forest - the Monterey Bay Aquarium was actually the first aquarium in the world to grow live California Giant Kelp. 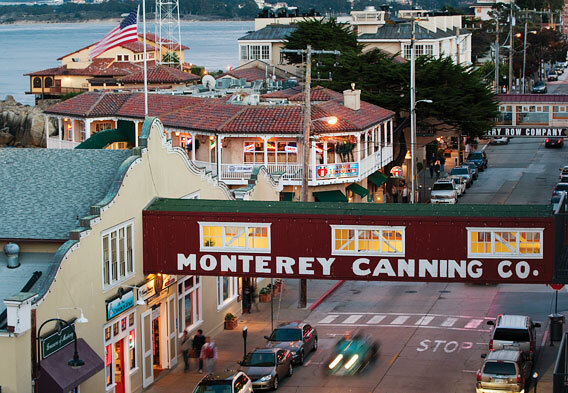 The Cannery Row district is where you will find the Monterey Bay Aquarium. This isn't the only reason why the district is so popular. Cannery Row served as the setting for two John Steinbeck novels - Cannery Row and Sweet Thursday - so it is very popular among literary enthusiasts. Found just offshore from Cannery Row is Ricketts State Marine Conservation Area. Part of the larger Monterey Bay National Marine Sanctuary, this area is home to a healthy population of California sea lions. Other reasons to spend time in the Cannery Row district include the excellent shops, galleries, restaurants, and hotels. 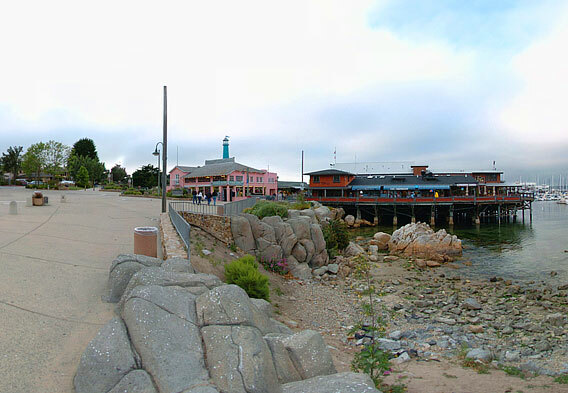 Just a short walk or surrey ride from Cannery Row is another major Monterey attraction, Fisherman's Wharf. Similar to the Fisherman's Wharf in San Francisco, Monterey's Fisherman's Wharf is a wooden pier area that boasts a healthy amount of shops and eateries. It is also home to fish markets, fishing operations, whale watching and sightseeing tour boats, and its own population of sea lions. You can even check out some live theater or get your face painted at Fisherman's Wharf in Monterey. Sure, it is all rather touristy, but that by no means robs the waterfront area of its overall allure. Anyone who enjoys scenic drives is guaranteed to appreciate 17 Mile Drive. Widely considered to be one of the best scenic drives in the world, this 17-mile loop on the Monterey Peninsula offers up views of the coast, famous golf courses, and stately mansions. 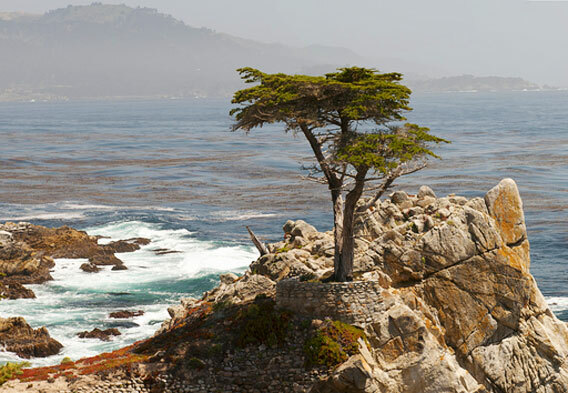 Among the main landmarks along the way is the The Lone Cypress, which has proudly stood atop its rocky perch for more than 250 years and is a Pebble Beach symbol. There are five entrances to 17 Mile Drive, and there are turnouts where you can stop for photos. Maps of the road are available. There is an access fee for the portion that runs through Pebble Beach. Monterey visitors might also treat themselves to a Big Sur side trip. The main road that leads from Monterey to the Big Sur area is the famous California State Route 1. 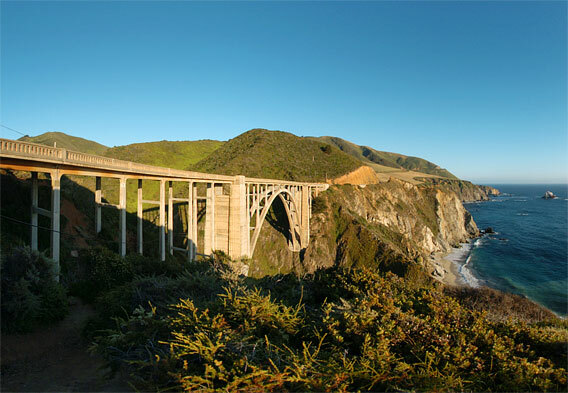 Also known as Highway 1 and the Pacific Coast Highway, this state route runs along most of California's Pacific coastline and is known for its wonderful coastal views. The views are certainly sublime in the sparsely populated area of Big Sur. As a result, the portion of Highway 1 that runs through Big Sur is considered to be one of the best scenic drives in the world. Approximately three million tourists come to bask in the glory of it all on an annual basis.